Many patients write to us inquiring about the specific relevance of left side neck pain. They usually tell that their symptoms are unilateral, centered in the muscular part of the neck, although some claim to have pain just off the left side of the spine. When it comes to back and neck pain, the exact location is not always a true indicator of cause, since pain may be muscular or neurological in nature, and therefore, might originate somewhere besides where it is expressed. It is for this reason that we generally place little special relevance in the location of the pain and instead simply include it in the total picture, when trying to ascertain the causation. This essay examines potential sources of neck pain on the left. Herniated discs might bulge to the left, possibly impinging on neurological tissues that serve the left side of the body. Symptoms may be expressed in virtually any location that is served by the affected nerve. Spinal arthritic processes might cause pain through various mechanisms on the left of the vertebral column. These might include mechanical pain in the left sided joints or foraminal stenosis affecting nerve tissues on the left side of the spinal cord. Central spinal stenosis might be asymmetrically affective to the left side of the spinal cord. Rare cervical spondylolisthesis might be worse on the left than on the right. Rare cervical spinal curvature issues might only affect nerve structures on the left of the spine. These conditions might include cervical hyperlordosis and hypolordosis, as well as very infrequent instances of scoliosis. Neck muscle pain is often unilateral and can come from infinite possible sources, including injury, imbalance, structural defect or idiopathic reasons. Muscular interaction with nerves, such as in the case of thoracic outlet syndrome, can cause unilateral left sided symptoms. Circulatory problems might cause left sided symptoms, including pain, tingling and numbness. Mindbody pain syndromes are common sources of unilateral pain and can strike virtually anywhere in the anatomy. Pain may be glandular or lymphatic in nature. Pain might be due to nonspinal nerve dysfunction or disease. Pain may be due to cancer. Unfortunately, some patients expect a definitive answer on the cause of the pain, simply by providing its location. This is impossible. Of course, location plays a role in determining the true cause of pain, but it is only one of many factors that must be studied and analyzed. We generally advise patients that of all these factors, location alone is one of the least important criteria, particularly if the symptoms do not stay in exactly the same place each and every time. 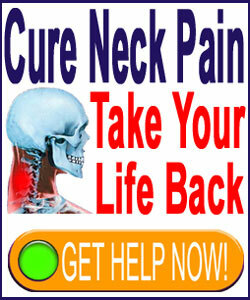 Therefore, simply reporting pain on the left of the neck is really not overly helpful in any way to your diagnostician. That being said, be sure to include the location of the pain into any diagnostic process and be absolutely sure that any causative verdict makes sense in causing symptoms in the location where they are experienced. You would be amazed how many patients embrace obviously incorrect diagnostic theories, simply because they are unaware that given the diagnosis, the pain could never exist where it does. Remember to become ever-more active in your own care and you will find that you will always be your own best healthcare advocate.